Welcome to SecureScot. We are the most experienced ISPS maritime training providers in Scotland and the UK. Our courses have been delivered to over 3500 seafarers & port personnel. The training is the most up-to-date in the UK and well thought of overseas. With extensive experience in the maritime security arena and with a police counter-terrorism and hostage negotiation background, our courses go beyond what is expected by the accreditation bodies. To book a course please contact us. NEWS: PFSO Refresher course available with latest updates to role. SecureScot consultants have experience in risk assessment and planning to determine appropriate levels of security and security measures that adhere to the International Ship and Port Facility Security Code (ISPS Code). SecureScot deliver fully accredited ISPS training courses to the Maritime industry as well as former Police and Military who wish to join Ship Security Detachments as Maritime Security Officers (MSO). SecureScot provide ship security detachments consisting of bespoke teams of pre-briefed professional former British military elite units. 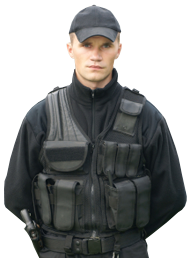 All personnel are highly trained and vetted. © Secure Scot 2011. All rights reserved.